Heat gas or charcoal grill. Remove beef onions from marinade; reserve marinade. Place beef and onions on grill. Cover grill; cook over from medium heat 15 to 20 minutes for medium doneness, brushing occasionally with marinade and turning once. Discard any remaining marinade. 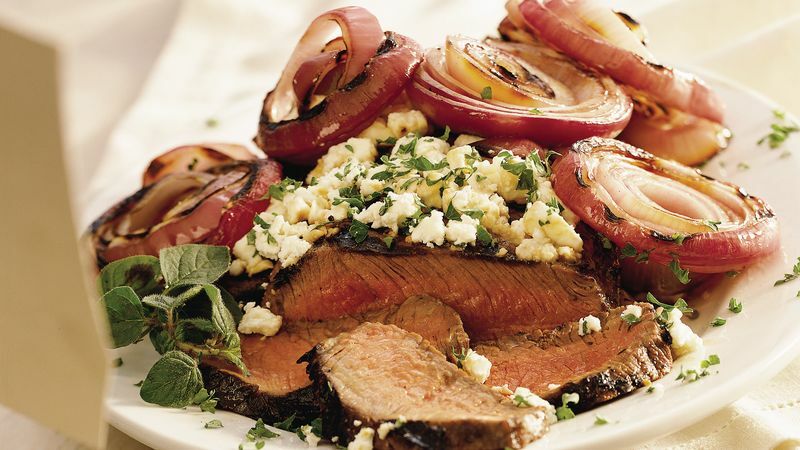 For a special occasion, individual beef tenderloins (about 4 oz each) can be substituted for the boneless beef sirloin. Grill about 10 to 15 minutes for medium doneness. Dry red wines, such as Cabernet, Merlot, Pinot Noir and Zinfandel, can be used in this marinade.